Toast with the galley with the Flamengo Badge Freezer Mug. You put it face down in the freezer for at least 5 hours before using it for the gel to freeze, remembering that the maximum limit is 48 hours. More info. 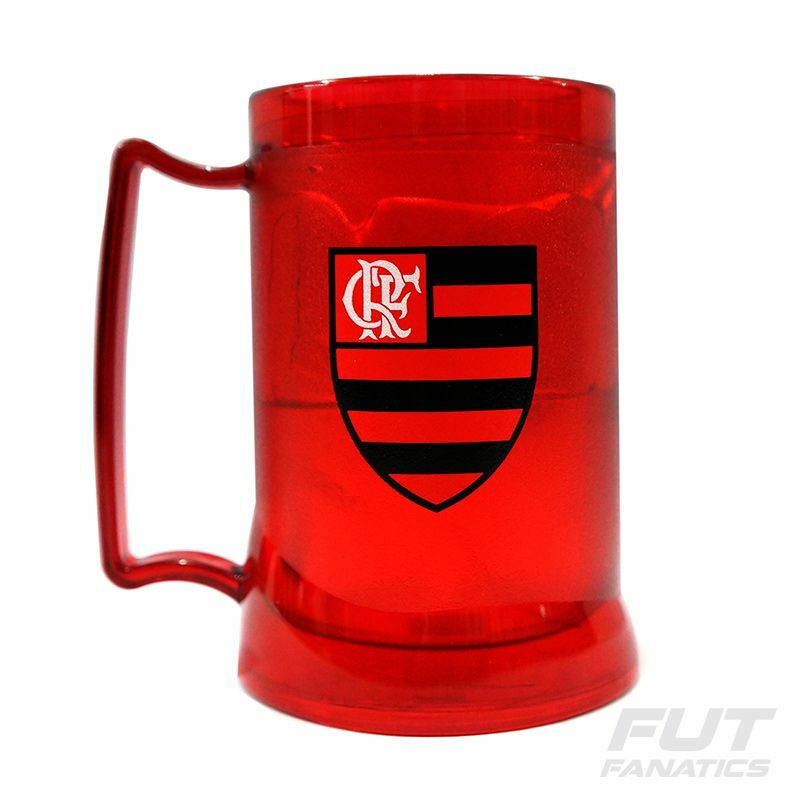 Toast with the galley with the Flamengo Badge Freezer Mug. You put it face down in the freezer for at least 5 hours before using it for the gel to freeze, remembering that the maximum limit is 48 hours. Then just put your beer or drink and you're done: it keeps your drink cold for much longer. 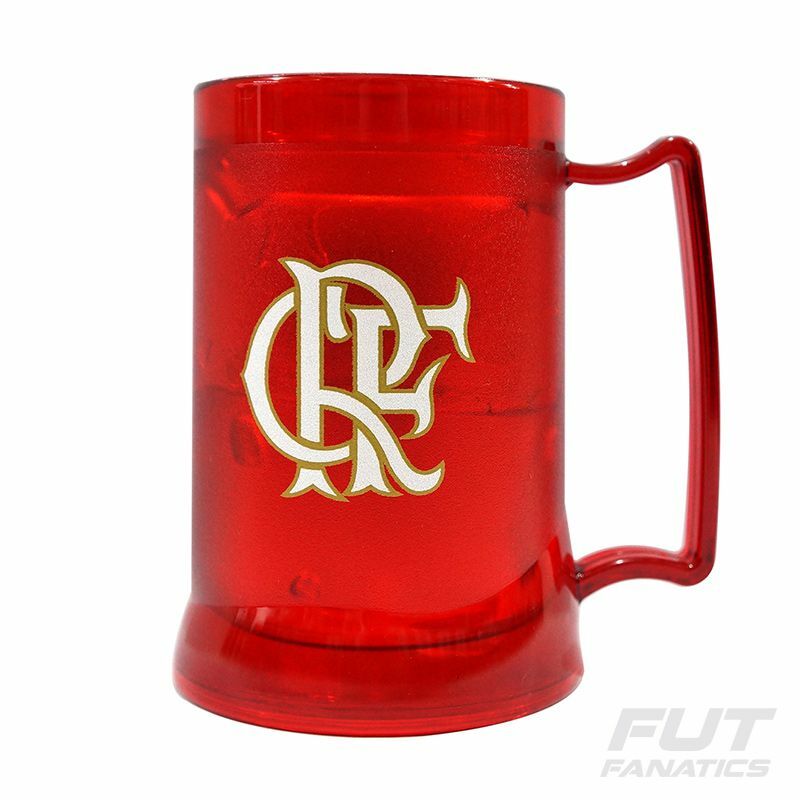 This mug is produced with red color and transparent gel and features a printed Mengão badge.